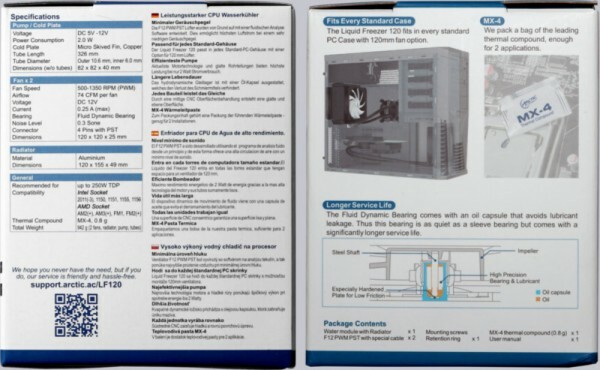 Several manufacturers have released so called All-in-one water coolers in the past couple of years. The Swiss cooling expert Arctic also expanded into this segment. 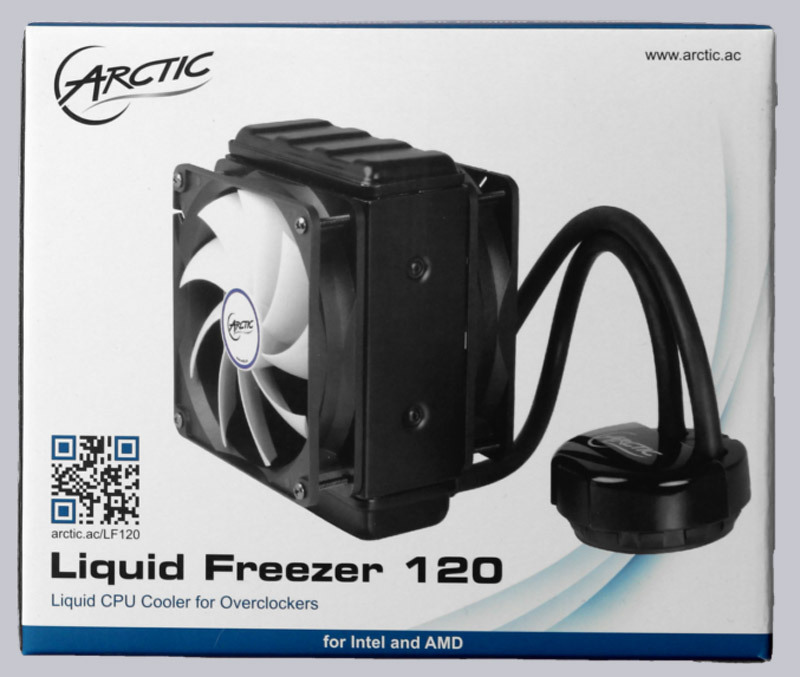 Today we test the compact 120mm cooler Arctic Liquid Freezer 120 on OCinside.de. Many thanks for the support of Hipp0campus and the manufacturer Arctic. Currently the Arctic Liquid Freezer 120 cooler is being sold for about 57 Euro. 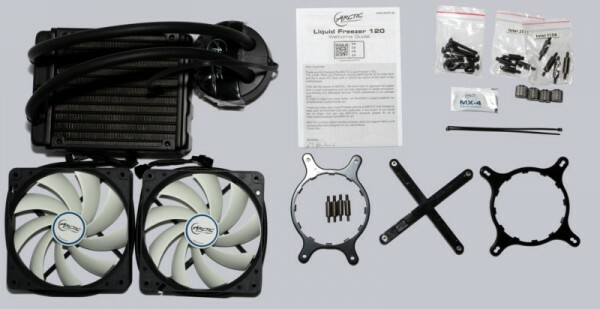 Here you can buy Arctic CPU cooler. As usual with Arctic products the cooler is being shipped in a white and blue box without any superfluous design elements. The box is remarkably compact, which cuts costs in transport and storage. But it makes it harder to put the cooler back into the box if needed. The most important features are listed on the sides of the box. 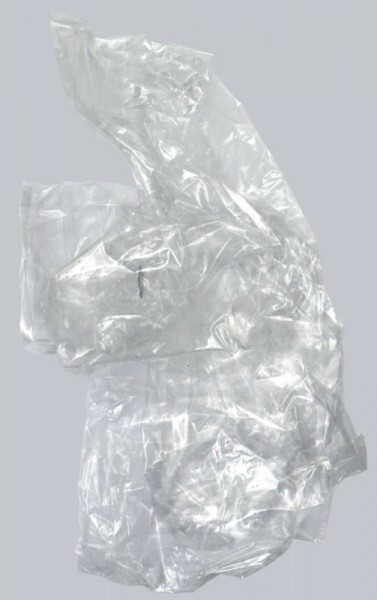 Inside, Arctic does not use any environmental unfriendly Styrofoam padding, but plenty of plastic wrap around the parts. The product contents are well labelled, therefore you can easily find the fitting parts for the socket used. The screws have the feeling and smell of machine oil. This is a sign for high quality parts but unfortunately one easily leave fatty fingerprints after handling them. There is one thing we miss among the supplied accessories. Some sort of rubber parts used for noise decoupling. Even if these are not necessarily needed for high quality fans it would be nice if Arctic would have included some as we are used to from this manufacturer.